If you're a foreign national who’d like to work in the U.S. legally, you need to apply for US work visa. Whether you are a technology specialist, artist, athlete or businessperson, you need a work visa that fits your profile, purpose, and length of stay in the United States. If you’re reading this, great! It means you want to do things right and request a suitable visa! To help you do this, we’ve gathered the most common visa categories for temporary and permanent workers. Let’s take a look and understand your options. We've listed all your US work visa options to help you determine your eligibility. This category allows nonimmigrants to enter the United States temporarily. They must follow the conditions of the visa granted to avoid unwanted hassles. 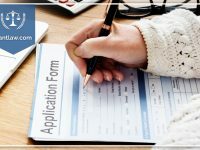 In most cases, successful applicants need their prospective employers to file a nonimmigrant petition on their behalf with USCIS. One of the most popular temporary visas is the “H-1B”, a temporary visa category designated for specialty workers. Similar to the O-1 visa but for shorter stays are the P categories, which allow nonimmigrants to come to the United States to perform in athletics or entertainment. P visa holders may use form I-129 to apply for a change of status, extension of stay, or change of employment. E-4 for certain special immigrants. Immigrants who are granted lawful permanent resident status through employment can apply for U.S. citizenship after five years. Students (F-1 classification) and exchange visitors (J-1 classification) can, under certain circumstances, have the permission to work in the United States. To be able to work, they must obtain permission from the authorized official, which is known as a Designated School Official (DSO) for students and the Responsible Officer (RO) for exchange visitors. If you want to participate in business activities in the United States for a temporary period of time, you need to obtain a visa (B-1), unless you qualify for admission without a visa under the Visa Waiver Program. The maximum period of initial admission to the United States as a B-1 nonimmigrant is typically 6 months. Which Visa Category is Right for You? We hope the information above helped you identify the work visa that best fits your needs. If you want to learn more about work visa requirements and benefits, we recommend you to contact an immigration lawyer. With our expertise and knowledge, we can guide you through the process of obtaining your work visa. Visit AANTLAW.COM to find more information regarding immigrant and nonimmigrant visas. Please feel free to calls us at (718) 924-2896 and schedule a confidential consultation to help you choose the right visa category for your case. We’re committed to providing our clients the best legal services in New York. Read also: L-1 Visa Vs. EB-5 Visa: Which One Suits You Best?